Our Team of Board Certified Providers. Dr. Natividad received her medical degree from Brown University in Providence, Rhode Island in 1991. She completed her internal medicine residency at George Washington University Medical Center, in Washington, DC. Following training, she worked as an assistant professor at George Washington Medical Center in the Department of Emergency Medicine and Internal Medicine. In 1999, Dr. Natividad opened her private practice, Advent Health Group, P.C. 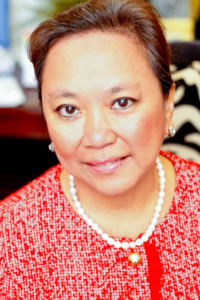 in Arlington, Va. Dr. Natividad was born in the Philippines and speaks Tagalog and Spanish. Dr. Natividad is board certified in Internal Medicine and is a member of the American Board of Internal Medicine (ABIM). She brings with her a compassionate approach to patient care and focuses on preventive care. When she is not seeing patients, she is involved in her children’s educational and social lives. Dr. Natividad is married and has two children. Ms. Chantelle Powell, PA-C is our board-certified physician assistant. She is a native of the Washington DC metro area. 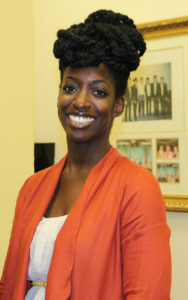 Ms. Powell completed her Bachelor of Arts degree in Biology at Rutgers University. She then attended Saint Louis University, where she received her Master of Medical Science in Physician Assistant studies. After graduation, Chantelle ventured west to work for a primary care practice in El Paso, Texas providing comprehensive care. Missing being close to her family, she returned and join the Advent Health Group, P.C. She cherishes her patient relationships, and what they ultimately teach her about life experiences. When not at work, she enjoys spending time with family and friends. She also enjoys cooking, thrifting, crafting, design, and movies. Ms. Powell is married and has one son.